Dr. Ramon Gonzalez developed Pain Reversal Program based on his vast experience and his outstanding results using the most effective non-surgical treatments available to address the layers of irritation and damage as well as the cause of a patient’s pain. Dr. Gonzalez and his experienced staff members will deliver and manage your SpineFIX Program. They are all committed to using their thorough knowledge and extensive training to care for you during your SpineFix program. These treatments are highly effective in reversing back and neck pain. Doctor and staff will continually monitor and measure the effectiveness of your care, in order to ensure resolution and reversal of your pain. Suffering from neck and back pain is challenging. However, Doctor Gonzalez and his staff are confident in their expertise and procedures, knowing that patients will be satisfied with the care they receive on each visit. They area sensitive, professional, and confident office dedicated to helping you achieve your health and wellness goals. Together they are committed to providing the absolute best care by constantly striving to deliver quality treatments for positive results to each patient. With 28 years of experience and 25 years of serving the Naples Community, Dr. Ramon Gonzalez has the expertise and insights to provide you with the finest care. 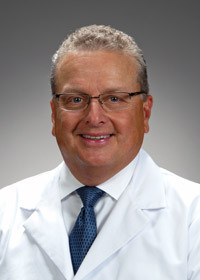 He served as the official chiropractor to the ACE Group Classic Champions Tour Golf Tournament. Dr. Gonzalez specializes in the treatment and rehabilitation of the spine. He also treats many of the local medical physicians and receives frequent referrals from neurologists and other medical specialists. 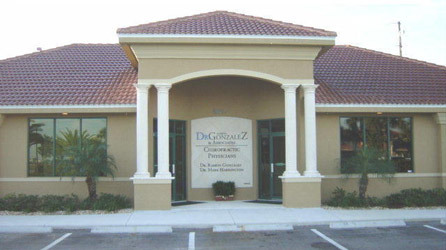 In 2003, due to the growing demand for his services, Dr. Gonzalez built and relocated his office to a new state-of-the-art 3,000 square foot free standing facility.